♦ Perfect for providing warmth when you are outdoors and camping, Designed to add a decorative touch to your space. Light up the night and add warmth to your outdoor space with a beautiful fire pit with tiles model. 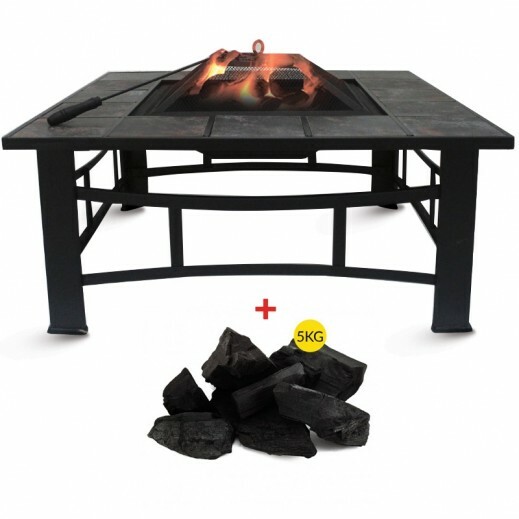 ♦ 100% chemical free and environmentally friendly, African Charcoal burns cleaner and longer than any charcoal available on the world market. Magic coal is one of the best charcoal made in africa which is easy to egnite, long lasting and smokeless.